Tire and Wheel — Dominion Technologies Group, Inc. 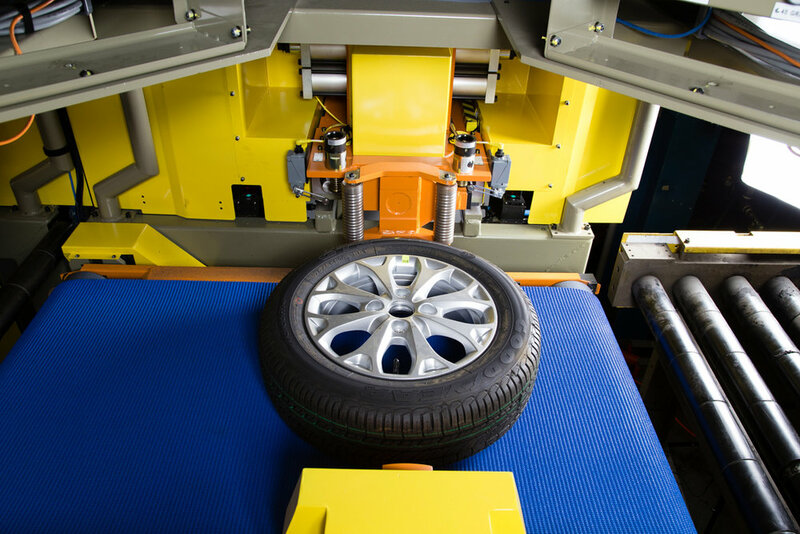 The Dominion Tire Line has been the benchmark for tire and wheel assembly equipment since its development in the 1970's. 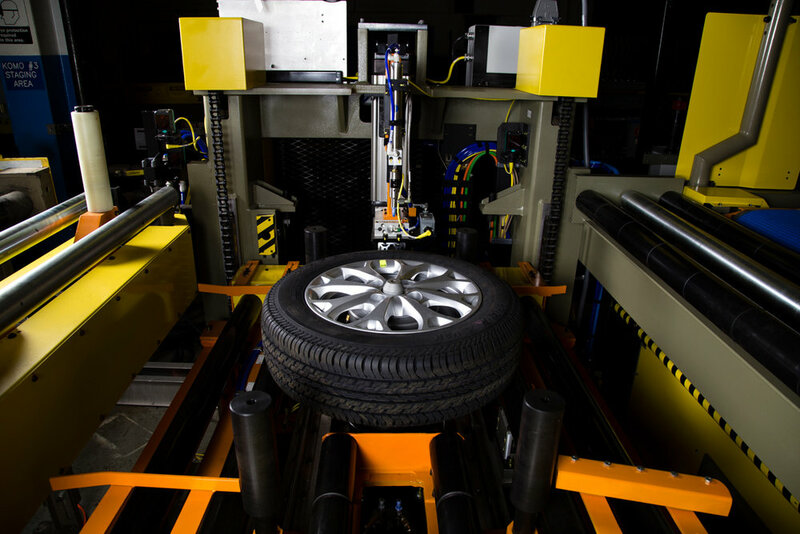 Since 1976, the engineers at Dominion Technologies Group have fine tuned the automation used on its Tire and Wheel Processing System. 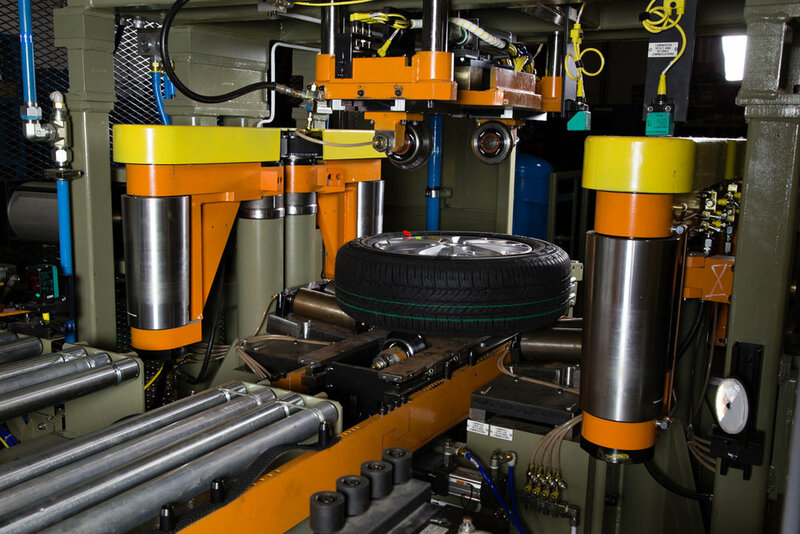 The result of this fine tuning is a flexible, fully automated system that handles multiple combinations of tire and wheel sizes at cycle times demanded by today's modern production methods. 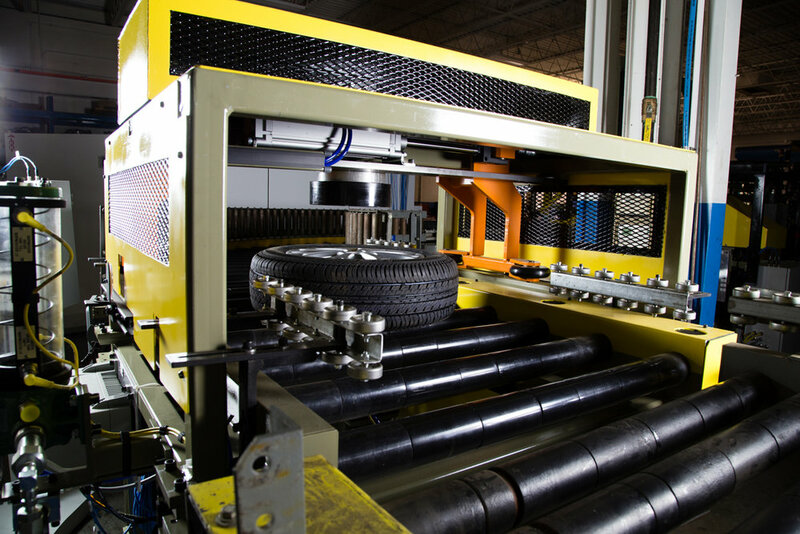 Dominion tire lines can be configured with independent single stations or with independent dual stations. Dual station configurations enable one station to be off-line for maintenance while the other station continues with production. 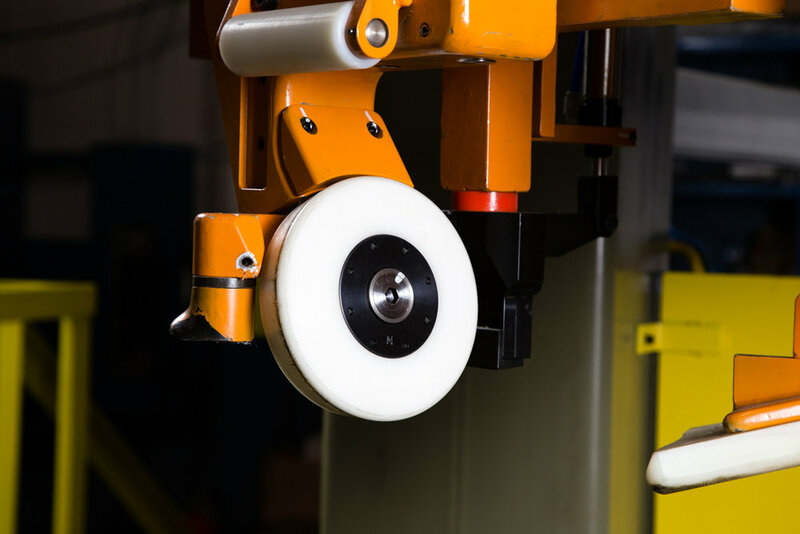 Each station automatically configures itself for the size of the tire and wheel. 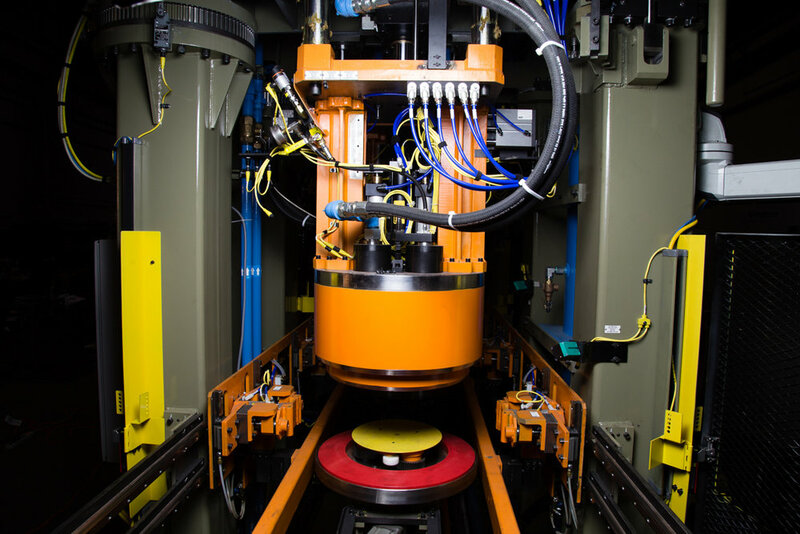 Using single bead mounting techniques, cycle times can provide up to 360 assemblies per hour. 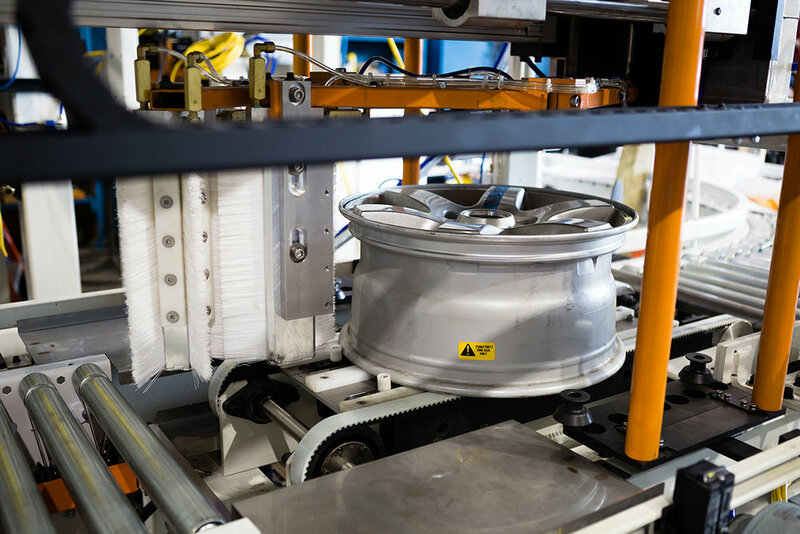 Dominion's tire assembly balancer is designed for high production application in automotive assembly plants. 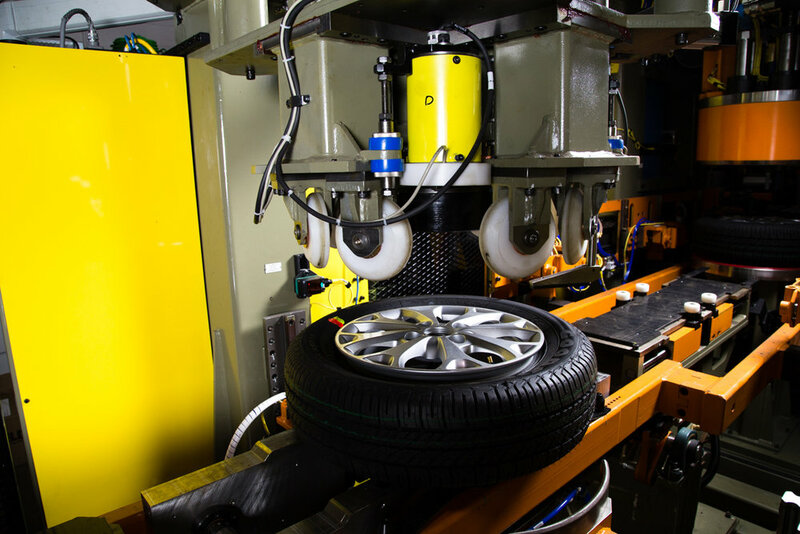 It also can be provided as a component of the complete tire room or as a stand-alone station for simple integration into our customer's process.